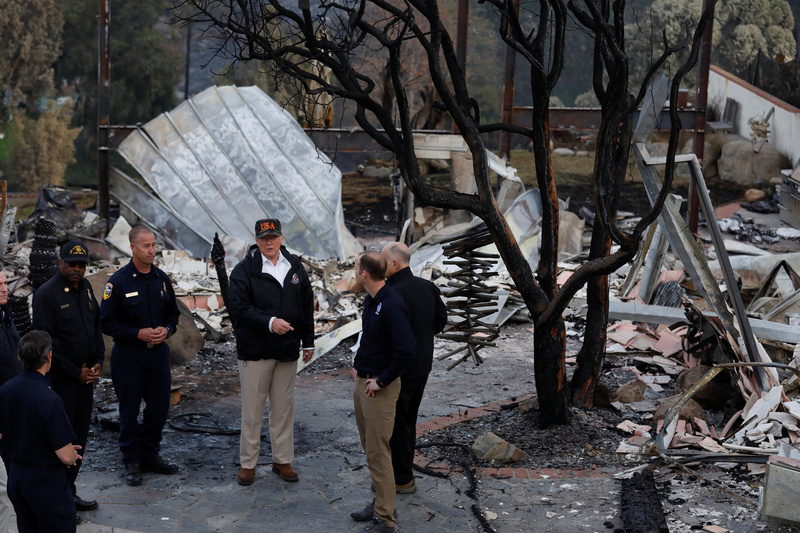 “We’ve never seen anything like this in California,” President Donald Trump said Saturday as he visited California, according to ABC News. The Camp and Woolsey Fires ignited on Nov. 8 and, propelled by strong winds, consumed tens of thousands of acres each in the days following. The Camp Fire caused heavy damage to the communities of Concow, Magalia and Paradise, each of which was notified of the danger just hours beforehand. The Woolsey Fire at its peak caused a quarter of a million evacuations in Southern California. The Camp Fire is the deadliest wildfire in California history. The fire has killed at least 77 and may climb higher in the coming days. Hundreds of emergency officials are still digging through wreckage of the fire with cadaver dogs looking for human remains. The majority of missing people are from Butte County, where Concow, Magalia and Paradise are located. The Camp Fire is also the most destructive fire to ever burn through California, destroying more than 10,000 houses and 3,000 commercial and other structures. It has burned about 150,000 acres, or about 234 square miles. Firefighters had the Camp Fire 65 percent contained Sunday, according to Cal Fire, the state’s fire agency. At least three people have died in the Woolsey Fire. The fire has destroyed nearly 2,000 structures and consumed nearly 100,000 acres. It was 91 percent contained Sunday, according to Cal Fire. San Francisco’s air measured 143 on the Environmental Protection Agency’s Air Quality Index Saturday evening, which is dangerous to sensitive people such as children or the elderly.